Greg Frederickson has made a study of hinged dissections and written some detailed books on the subject. 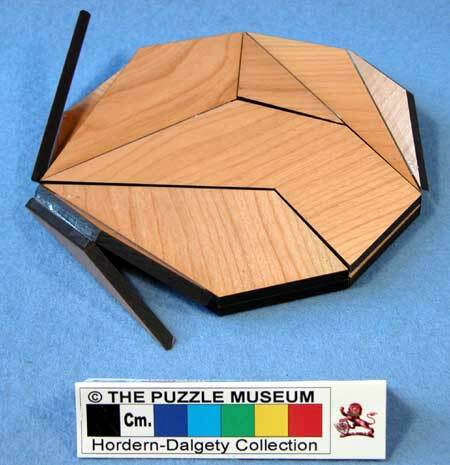 This is his very fine"piano-hinged" double layer pentagram that folds into a double layer decagon. 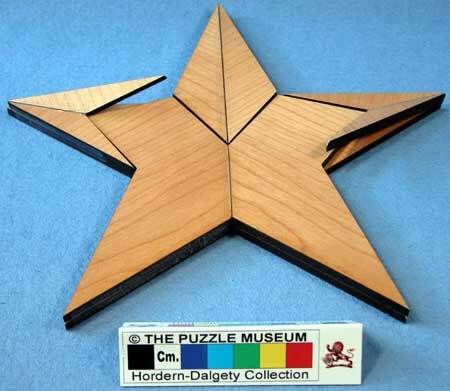 These photos may give you just enough information to cut some pieces out for yourself; but you will find it is a major extra puzzle to work out how to tape the edges so that it works. For the solution you will have to wait for the publication of Greg's next book "Piano-Hinged Dissections: Time to Fold!". December 2006. Click to see that this book is now published.